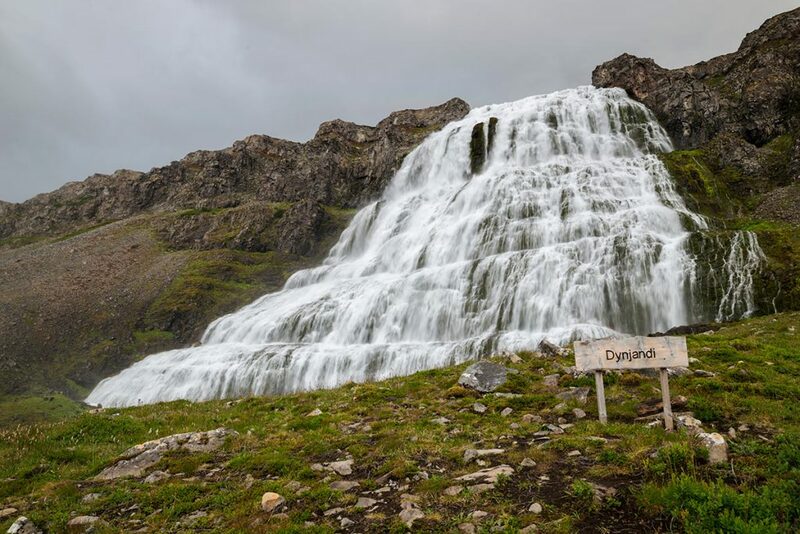 Dynjandi (AKA Fjallfoss) is the most monumental of icelandic waterfalls and the pearl of the Westfjords. 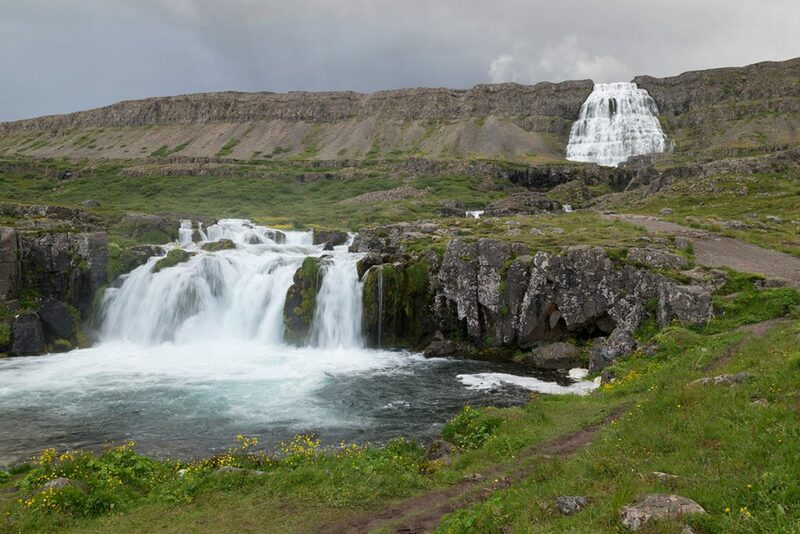 Dynjandi is not the most visited or admired of Icelandic waterfalls only because it is way apart from the main touristic routes in Iceland. 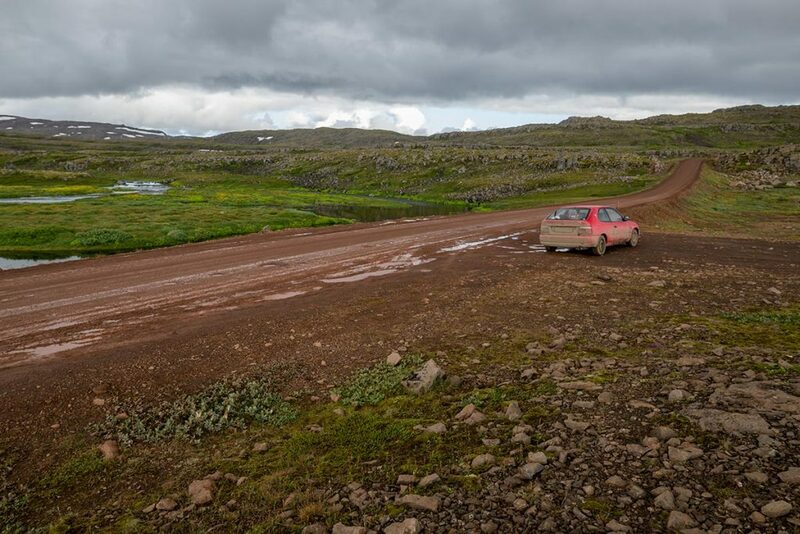 Many of the ‘everything in a week’ tourists do not want to spend extra days in Westfjords and travel on its dirty roads. 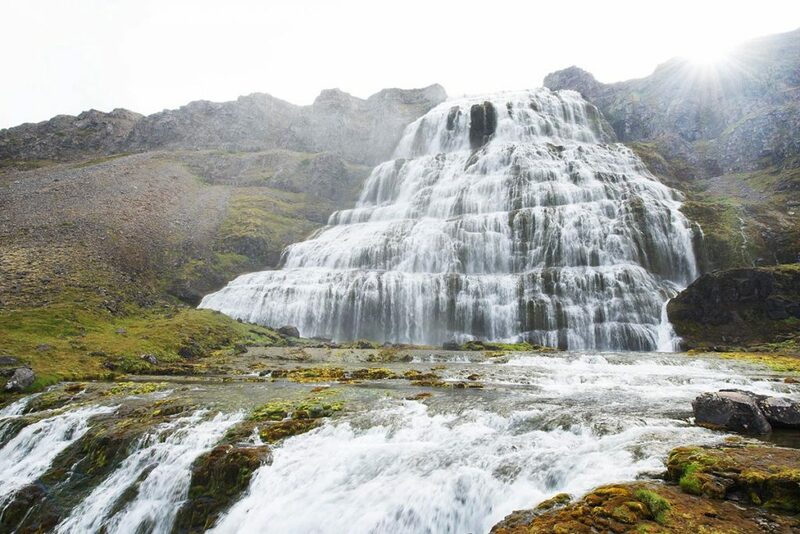 But if you want to experience the real Icelandic unspoiled nature, here, still you can. 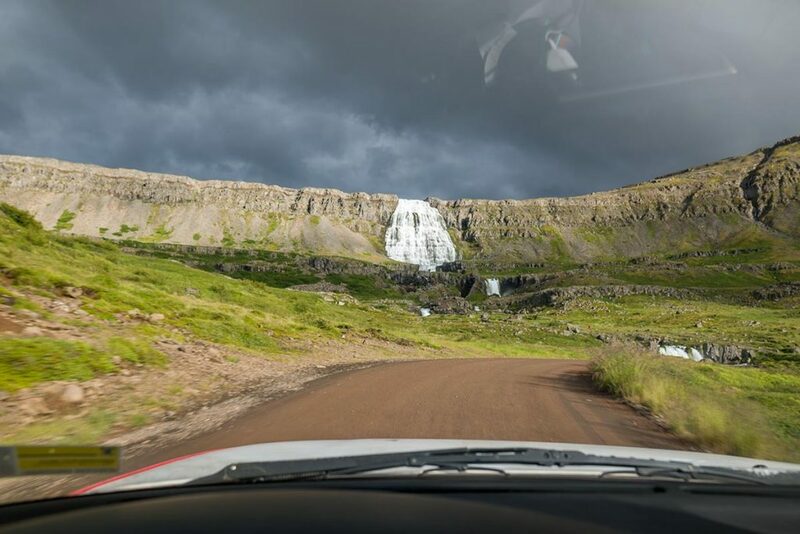 You have to deserve this waterfall. And it will reward you. Dynjandi is unforgettable. Trust me. And then additionally as a bonus to Dynjandi, you´ll get another 7 waterfall downstrem of Dynjandi. They are ordered in a manner on how you´ll see them going up to Dynjandi. 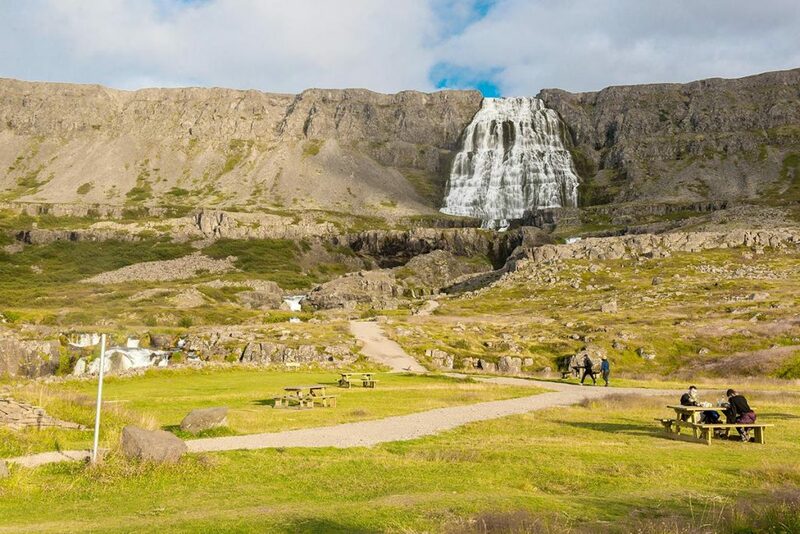 Here they are: Bæjarfoss, Hundafoss, a bit apart is Kvíslarfoss, then Hrísvaðsfoss, Göngumannafoss, more than 20 meters/65 ft tall Strompgljúfrafoss and finally Hæstahjallafoss. In case you come on the road nr. 60 from Ísafjörður, you cannot miss Dynjandi in any case, because you´ll see it for about 14 kilometers right after you come down to the Ocean near Hrafnseyri. You cannot miss it from the opposite side neither, just park you vehicle at parking lot, and from there, take a short hike up to the waterfall (if you like). Beside the option nr. 1 described abote, you can go to explore the Dynjandi water from the top. In this case, park your car along the road nr. 60 here (GPS: 65.732910, -23.164233) and continue on food down ther river for about 25 minutes. 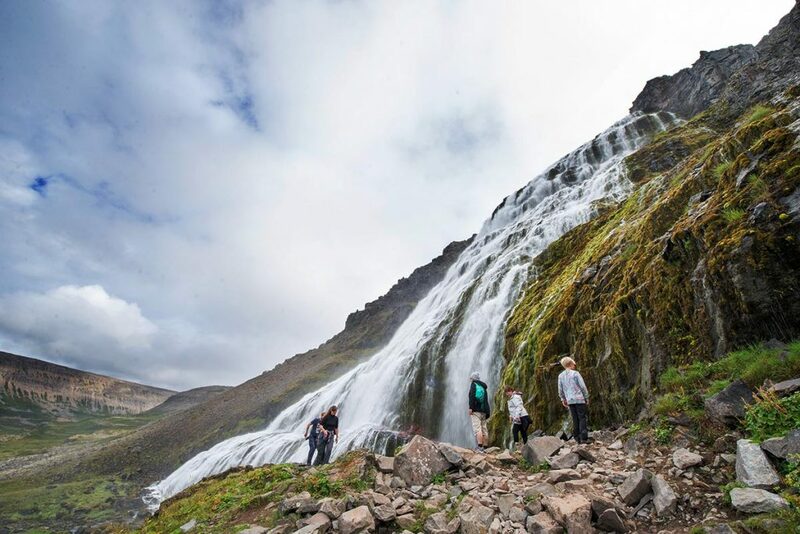 There you can enjoy not only the Dynjandi waterfall from absolutely new perspective, but magical views of the fjord (Borgarfjörður) as well. It is well spent time and energy to go there!! GPS coordinates of the Dynjandi waterfall: 65.732688, -23.199117 Take me there! Dynjandi is approximately 1 km away!